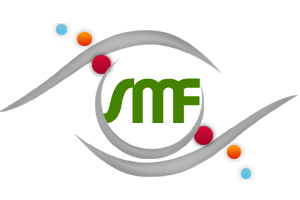 SMF was established in the early 2010, our destiny is to be one of the pioneers in hardware merchandisers with complete services and solutions. From your hardware installments to its maintenance, we also provide quality software support for your hardware networking and processing both. Either it is your data recovery, hardware repairing or maintenance we are all-rounder. We believe to give quality standards for a better business environment and healthy relationship. Our company is focused to build strong and better technology based programming for today’s business activities and processing. SMF is a network of Khawaja Group of Companies. We believe in providing best IT solutions for your business. We aim to provide unique enterprise solutions for software and hardware installment, maintenance and even repairing from your computer desktops, printers, PABX to security cameras. We're searching for answers. Someone's going to have to step up and be the one. The talent is definitely there, we just have to give our forwards opportunities to score. Address: F-137, Centreal Avenue, S.I.T.E Area, Karachi, Pakistan. Copyright © 2011, SMF Company. All rights reserved.